to promote your festival, event, release, etc.. on one of the most popular Reggae website worldwide with the most comprehensive festival and concert agenda, latest news, interviews, reviews plus the most recent music, videos and releases! 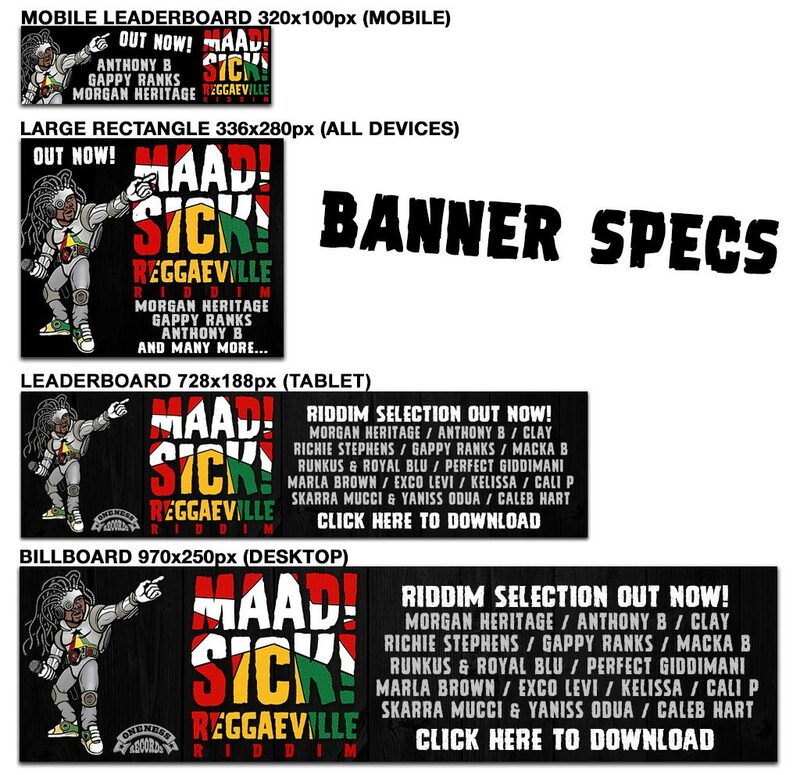 In October 2016 Reggaeville.com had a major relaunch. The page is now 100% responsive on all devices and with a brand new layout it provides a unique user experience. Our banner rate is 1 Euro CPC (cost per click). Because of the generally decreasing click rates in banner campaigns, we have changed our banner rates from 10 Euro CPM (cost per thousand impressions) to 1 Euro CPC (cost per click) to guarantee a successful campaign to our clients. The change from 10 Euro CPM to 1 Euro CPC guarantees a strong click rate of 1%! Banner clicks are the easy-to-measure part of a campaign. In addition the total amount of banner displays need to be considered. In order to get a certain number of clicks, we display the banners so often until enough users have been reached and actively clicked on a banner. Our records show currently an average clickrate of 0.3%, that means, we have to display a banner 100,000 times to reach a target of 300 clicks. Every banner campaign runs with 4 different formats, which will be delivered in rotation placed on our various positions. That way your campaign reaches users on all devices (mobile, desktop & tablet). Mandatory: Design must contain at least one animated element. Recommended: Animated designs, use of photos, easy to read text!